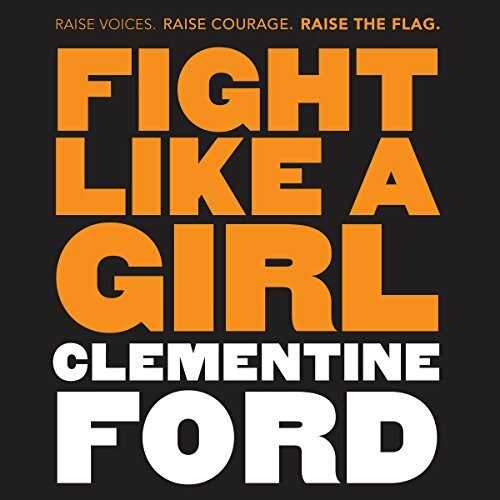 Fight Like a Girl is a debut non-fiction novel from feminist and Daily Life columnist, Clementine Ford. With a 4-plus goodreads rating, and promoted as a must-read for every woman and teenage girl, I was intrigued and decided to add this to my summer reading list. As a woman reading this book, I found myself in agreement with, and sympathetic to, many of Ford's messages. What I struggled with, however, was her delivery. The last chapter, 'It's okay to be angry,' is the one message that Ford hopes her readers take away from this book - yet it's a sentiment that doesn't particularly excite me. Do we really need more angry people on this planet? Surely there is a calmer and more effective approach to make necessary change? It's part memoir, part feminism 101, part rant. Ford describes her experiences struggling with an eating disorder, her sexual awakening and her ongoing struggle with mental health. Perhaps stronger on the rant, if Clementine Ford were one of my facebook friends, I could see myself hiding her posts. She is pretty full-on and is really determined to fight, and wants women to fight with her, but this message did become quite exhausting and repetitive. Clementine Ford is an important voice in the feminist community and she has an enormous following. The shocking nature of the online abuse that she has received for her feminist writing is widely known, and although her delivery is direct and harsh - branded as a hot-fire feminist - no one deserves abuse. Isn't that just anger being thrown right back at her? Which brings me to question the effectiveness of her approach. Do women need to be demanding, shout louder and be so angry? Is this the message we want for our teenage readers? I am not sure what the answer is. However, after reading this book, I want to believe that for women and young girls, being powerful and kind is not mutually exclusive.